There is something inherently special about a crisp black and white film that tells a story from the past but with a modern-day lens. The film Roma had us pulled in right away, just by the opening scene of water being splashed onto concrete. Alfonso Cuarón is a highly accomplished screenwriter, best known for Children of Men, Gravity, and Y Tu Mamá También (co-written with his brother Carlos Cuarón). Cuarón stated that Roma was a remaking of his childhood, which included the trials and tribulations he experienced within his own family. He goes on to say that the film was inspired in large part by the woman who helped raise him during his childhood, and he wanted to share her story as much as his. 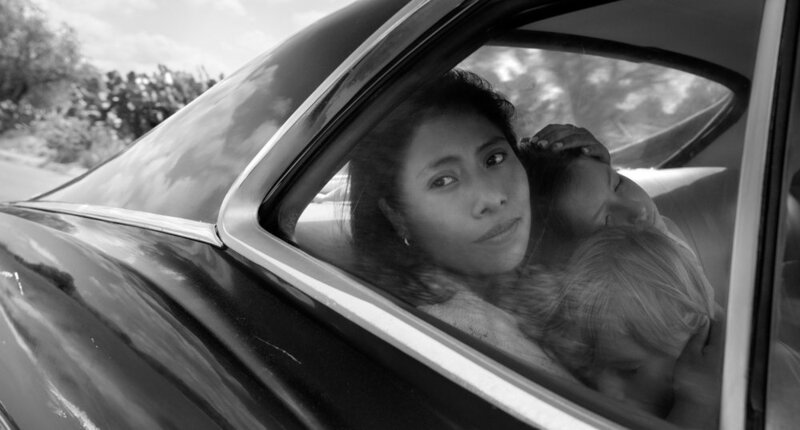 Roma is a uniquely crafted film that invites the audience to think deeper about timely societal issues such as classism, family structures, political strife, and the simple nuances of ordinary life.